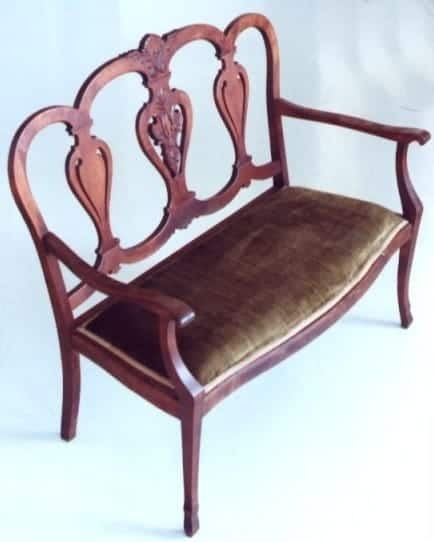 Love seat, circa 1850, with a velvet cushioned seat. Note the floral bas-relief design on the delicate cherrywood backrest. The maker of this lovely piece is, unfortunately, unknown. The seat has been re-upholstered. Though Northwestern Ontario has never been noted for its furniture manufacturers, much of the furniture in the Thunder Bay Historical Museum Society’s collection is related to the region, usually because the pieces have some strong association with a particular person, institution or business.